So many spinal cord injury sufferers are told by doctors and specialists that they will never walk or run again. This is the story of one athlete who proved them wrong. My name is Pauly Plewa and I am a 20 year old paraplegic. Since the age of 6, my life was motocross. In 2012, I qualified as one of two Canadians to race in the Arenacross World Championships in Las Vegas, and was excited to be making my professional debut later that year. A month before leaving for Las Vegas, I had a bad crash and broke my back; the doctors fused my whole mid back with metal rods to stabilize the fracture. I had suffered a T-5 incomplete spinal cord injury. Damage to the spinal cord results in a loss of function below the site of injury. That means that the nerves controlling your muscles and internal organs which bring sensory information back to your brain stop working properly. You can’t move your muscles and you can’t feel anything. You can’t even tell if you’re hungry or full, thirsty or not. When the doctors assessed me, they told me to prepare myself for life in a wheelchair, and gave me less than a 2% chance for walking again. My response? I will walk again! I will run again! I will race again! It has not been an easy road, but each day, I push the boundaries, and continue proving the doctors wrong. While I was in the hospital, I kept trying to tell myself that I could move my toe, and each day, the will was stronger and my recovery began. I started regaining feeling and started to move my toes – it was the greatest feeling in the world; even better than winning a motocross championship! Three years post-injury, I am able to walk with no assistive devices, still with a bit of a limp, but I am no longer in a wheelchair. On May 3rd in Niagara Falls, I’m going to run for the first time to show people that through hard work and dedication, anything is possible. Even with a spinal cord injury, you cannot accept defeat, you can re-learn to function, and you can prove the doctors wrong. Come run with my team “Run Again 771” and I, as we do the impossible! Pauly Plewa is one inspiring athlete who proved that a spinal cord injury will not hold him back. 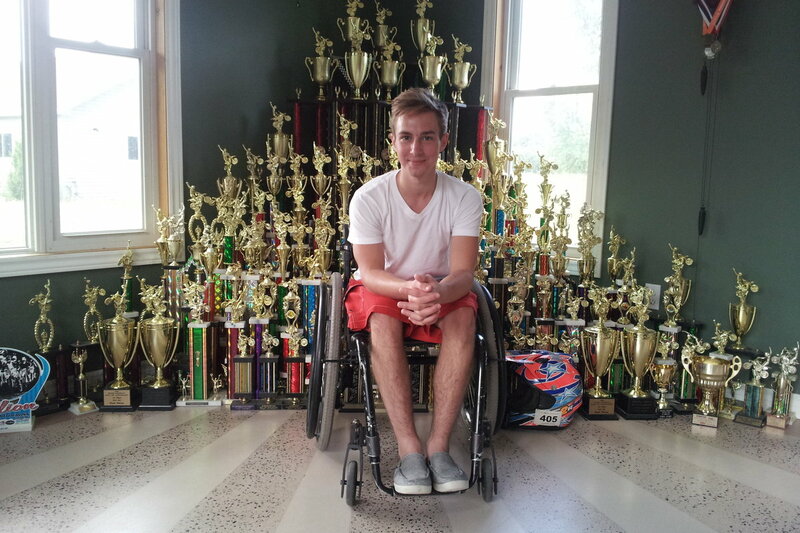 He is an inspiration to the 4 to 5 million people affected by spinal cord injury a year. If you have suffered a spinal cord injury, contact us.